OM SAI RAM! OM SAI RAM! OM SAI RAM! Beloved Devotees we can't say His Precious, Holy, Majestic name enough. In fact, Swami says that we should breathe, think, speak God night an day. These past few days I have been exhausted. My dearest husband had shoulder surgery and I have been helping him with the minutest details of his daily care. On top of that Donald Trump has succeeded infuriating me because of the irresponsible, reckless and heartless things he is doing. Last night I had a dream which really helped to me to calm down and focus on what is supremely important: GOD! managed the Bowery service project by the New York City Sathya Sai Baba Center. They worked with great, tireless dedication preparing and serving food weekly to the homeless population in downtown Bowery. I admired their devoted commitment to this project, they were certainly a model of selfless service. Continuing with the dream: We were all standing outside a row of houses chatting. A young boy began repeatedly rolling up the garage doors of his house and then loudly rolled them down. He created quite a disturbance. I went over to him to see why he was doing this. As I approached his house I notice a large circular sticker of Sathya Sai Baba on the front of the garage. I was surprised and looked around to see whose house this was, there was a park directly in front of the house. I went inside and asked who lived in that house. No one seemed to know. Then I saw a woman coming out of the house. I ran over to her and asked her if she was a Sai Baba devotee pointing to the huge sticker on her garage door. She seemed to be in a hurry and said " Oh that, I just put that there randomly." I said, "Well that's Sathya Sai Baba, He must be trying to contact you. Please look Him up you will be very happy you did." I was practically shouting as she walked off. I then found myself inside the house, walking through mysterious looking corridors and hallways. 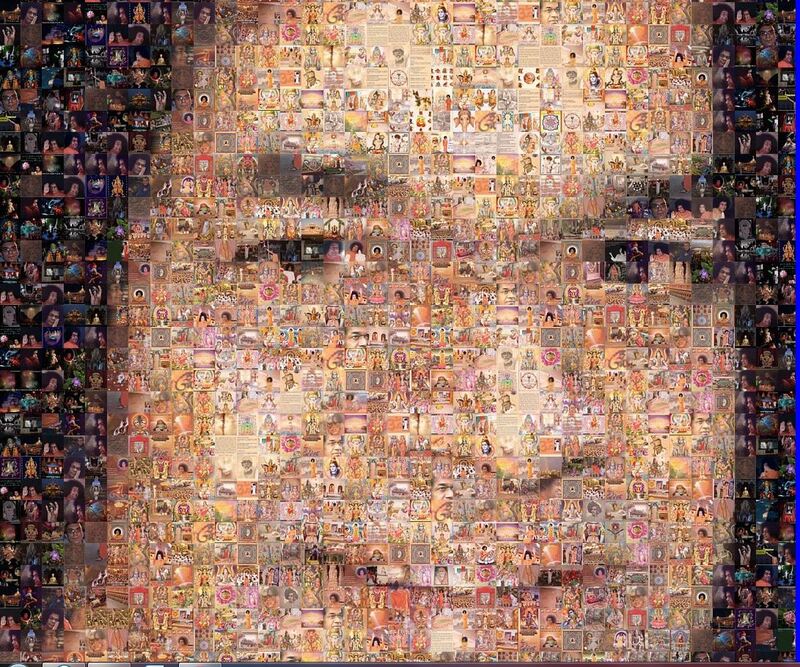 I looked at one wall and there was what looked like a carpet rug from a car cut and shaped into the silhouette of Sathya Sai Baba, I was astounded as I stared at the image. Looking on another wall there were all sorts of materials and objects from ordinary life all shaped into Sathya Sai Babas. It was all so beautifully curious. Some of the devotees had followed me into the house and we kept finding these replicas of our Lord Sai everywhere we looked. I soon started waking up. The message I got from the dream is to never, never forget that Lord Sathya Sai Baba is in every part of the Universe. His magnificence pervades everything. Daily life can be stressful but God overrides the mundane affairs and is the supernal essence of all there is.